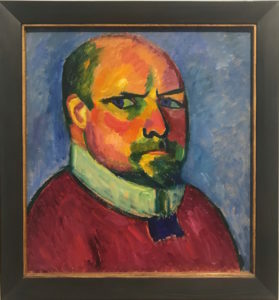 Since 2004 the collection of Karl Im Obersteg (1883-1969) and his son Jürg Im Obersteg (1914-1983) is on deposit at the Kunstmuseum in Basel. The collection is comprised of 190 works, paintings, sculptures, works on paper as well as a number of artist letters. 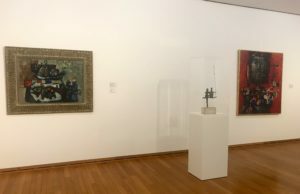 Major works such as La Buveuse d’absinthe by Pablo Picasso, thirty works by Alexei von Jawlensky from all periods, and a large number of works by Chaïm Soutine are attesting to the quality of the collection. Antoni Clavé is particularly well represented in the Im Obersteg collection, with seven paintings, a lead sculpture and seven small-size works on paper. At the Kunstmuseum Basel, temporary exhibitions presenting works from this collection are regularly organised, and the fifteen works by Antoni Clavé are currently on display (05/09/2018 – 03/02/2019) for the public to discover. One of the works, an impressive Roi de carte from 1955 and bought in 1956, is among the first kings created by Antoni Clavé. The topic is inspired by the Gargantua by Rabelais, a book for which the Bibliophiles de Provence ordered Antoni Clavé to create 59 colour lithographs. It took close to four years to Antoni Clavé to illustrate the book. And the painting currently on view shows how permanent the dialogue was between the various creative universes of Clavé. 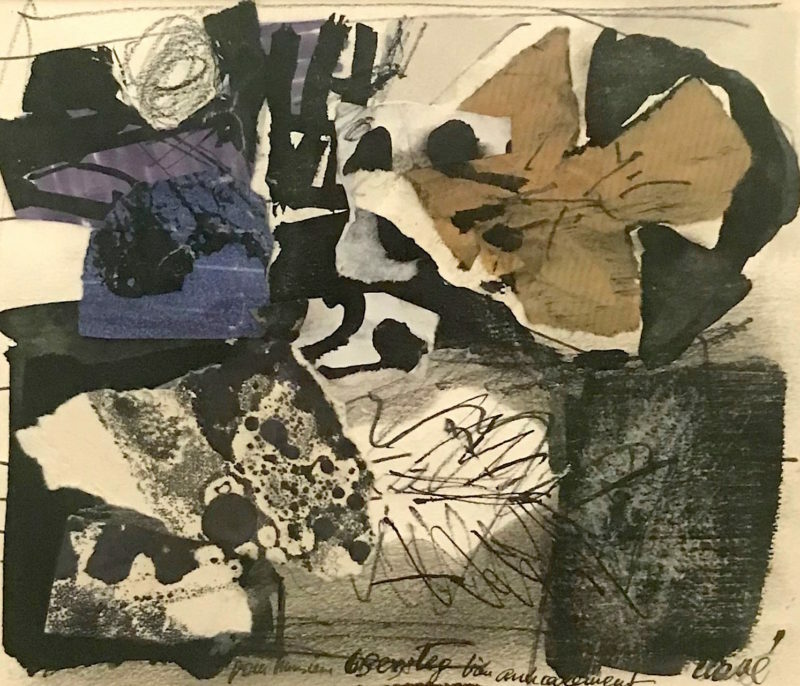 The exhibition also presents a number of still-life paintings, from 1954 to 1966, which enables us to have a better sense of the stylistic evolution of Clavé. 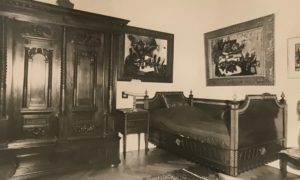 The exhibit is also the occasion to discover again a Christ de Alba de Tormes (1954), which was part of the show “Homage to Antonio Machado” organised in February 1955 in memory of the republican poet. This was also the last engaged exhibition organised by the Spanish republican artists of Paris. Picasso, as figurehead, signed the catalogue cover. In this big-size work (97 x 195 cm) currently on view, Clavé drew a parallel between the sacrifice of Christ and the death of the republican poet, who passed away in February 1939 while in exile.